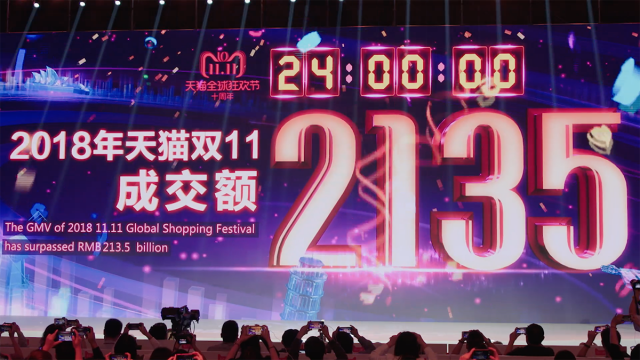 The 11.11 Shopping Festival, China’s largest online shopping day of the year, is venturing offline this year. Coinciding with the country’s annual Nov. 11 Singles Day holiday, the festival involves thousands of merchants on Alibaba Group’s Taobao Marketplace and Tmall.com shopping websites and offers consumers huge discounts on goods that day. But this year, there’s a twist. In an effort to bridge the gap between online and offline shopping in traditional brick-and-mortar stores, numerous Tmall brands are extending their promotional activities to some 30,000 real-world outlets. Recognizing that many consumers like to touch and try out products before they buy, merchants this year are encouraging shoppers to visit stories in the days leading up to 11.11 to examine goods. Those who decide to buy can scan product QR codes using their mobile phones to add them directly to their virtual Tmall shopping carts. On Nov. 11, consumers will automatically receive the appropriate online discounts when they click the “buy” button. 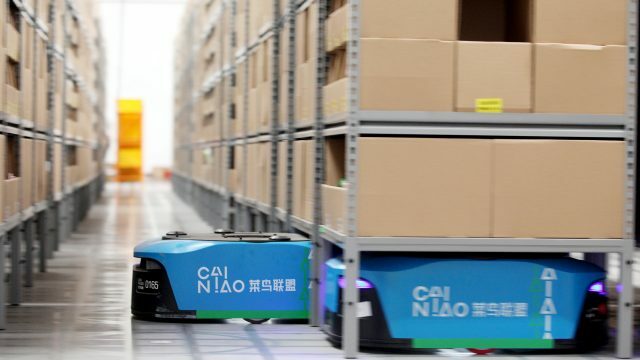 The blending of online and offline e-commerce (called “online-to-offline” or O2O) is trending in China as traditional retailers, afraid of losing market share to online competitors , are trying to find synergies between their digital and traditional sales operations. The meteoric rise of China’s e-commerce industry has crimped sales of many retailers who have been forced to scramble to get online sales platforms off the ground. China’s business-to-consumer e-commerce market was worth RMB 157 billion ($25.8 billion) in the second quarter, up 82 percent from the same period in 2012. Tmall.com, Alibaba Group’s business-to-consumer website, had a 50 percent market share, according to Analysys International. With China e-commerce sales expected to surpass that of the U.S. this year and hit RMB 3.3 trillion ($541 billion) by 2015 according to Bain & Company research, the stakes for offline and online players have never been higher as competition for the consumers’ dollars grow and the wall between conventional retail and online retail starts to crumble. “O2O is not a choice, it’s the future,” said Adam Xu, director at Booz & Company. “From the consumer perspective their behaviors are changing, they have so much access to the Internet and so much access to shop for goods. Because their behavior changed, retailers also have to change if they want to be successful,” Xu said. 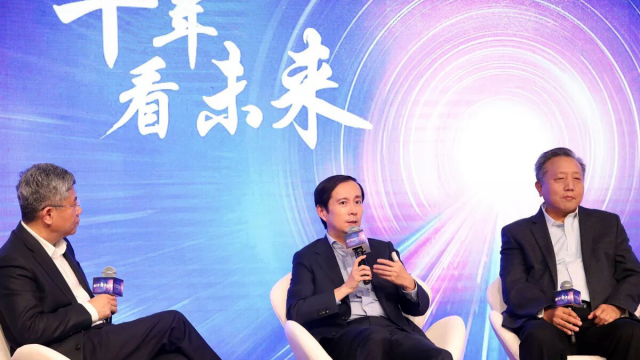 The decision to integrate O2O with China’s biggest e-shopping day is meant to encourage transformation in the brick-and-mortar retail industry and to further refine Alibaba Group’s own O2O initiatives, said Maggie Wu, a senior director at Tmall.com. This year’s O2O activities will be spread across 1,000 Chinese counties and cities and include brands like American apparel brand Gap Inc, Japanese fast-fashion brand Uniqlo and toy store Toys “R” Us. If you are in the market for a car, a consumer can also choose from 15 brands of cars on Tmall.com, put a down a deposit, go to the dealership store for a test drive and bargain down the price to complete the transaction offline. This isn’t the first time Alibaba Group is conducting O2O initiatives. In 2011, Alibaba Group opened a Tmall.com furniture showroom in Beijing that allows customers to bounce on the sofas and try the beds before buying them online. Alibaba’s recently launched Laiwang mobile chat messaging software also allows for O2O shopping. For example, by using Laiwang, a user can scan a barcode on a physical item and then the app automatically searches for the same product on Taobao websites. “The smartphone is becoming integral to all industries, if you don’t change you will be history,” Xu said. 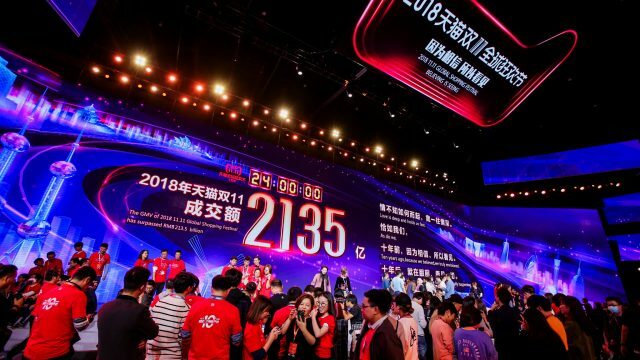 Last year’s 11.11 shopping festivities became the largest online shopping event in the world when more than RMB 19.1 billion ($3.1 billion) worth of goods were transacted. That beat the previous 24-hour online sales record of $1.25 billion on Cyber Monday in 2011. More than 20,000 Tmall.com merchants are taking part this year, double the number from last year. In the future, Tmall plans to pursue other O2O initiatives such as a service that allows consumers to buy products online but pick up them up at local stores.